Offer valid until February 28th 2019. If you’re a fan of home-made treatments, it’s a no-brainer making homemade beauty treats for your significant other on Valentine’s Day. And if you’re new to it, I’ve selected 4 easy recipes from the Just Massage archives for you to make this February. Here ‘s a recipe from one of my favourite online blogs, Hello Glow. It’s simply cocoa butter, coconut oil and beeswax combined with (in this case) matcha tea and sweet orange essential oil, but you can change the last two ingredients to your taste. Check it out here. 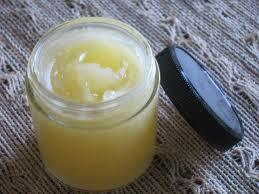 Melt 30g cocoa butter with 30g jojoba oil, 25g beeswax and 15g avocado oil in a bain marie/double boiler. Take off the heat and cool, then add 2 drops each of rosemary and grapefruit extract, and 8 drops each of rosemary and grapefruit essential oils, and 6 of ginger. Mix and leave to solidify before using after the bath. 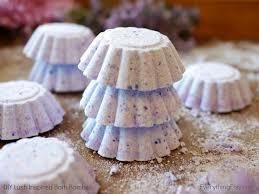 These easy-to-make bath bombs from James Wong will fizz away like any commercial one in your bath. And of course you can learn the basics of massage with me and pamper your loved one (or a friend, your mum, your pet dog…) on that special day. But don’t forget to hint heavily that you’d appreciate a Just Massage gift voucher in return! !